You are here because you know if you want to get ahead financially, you need to budget. But you keep putting a budgeting plan off because it just isn’t exciting. Budgeting is not fun and it is not exciting. But if you find the right budget for you, it is something that you will stick to and you will even enjoy it. Granted it still won’t be fun, but you won’t dread doing it. And by following a budget, you will take control of your finances and start to change things. You will go from being in debt to being out of debt. You will go from saving nothing every month, to saving money every month. And all of this change will open up new doors for you, including allowing you to reach many of your financial dreams. So what is the right budget for you? After looking at the many budget variations out there, I feel confident in saying that the 50/30/20 budget is the best budget for most people. It is simple to set up and to follow. It takes a lot of the guess work out of creating a budget and is something you can set up and start following in the least amount of time. So to help you get started with the 50/30/20 budget, I wrote this detailed guide. Here you will learn what the 50/30/20 budget plan is all about and how to set it up to make it work best for you. I’ll even point out a few of the most common stumbling blocks too. By knowing these upfront, you can be proactive with them and hopefully avoid them completely. I’ll also introduce you to a few other budgets too. While I am confident most of you will succeed best with the 50/30/20 budgeting rule, not everyone will. So I am going to show you a few other options that might be a better fit. With that said, let’s dive into the 50/30/20 budget! The 50/30/20 budget plan is easy to follow since you break all of your saving and spending down into 3 buckets. After you do this, all that is left to do is to make sure the total of your spending in each bucket does not exceed the set limits. Let’s take quick look at a 50/30/20 budget example. Here are the 3 buckets that make up the 50/30/20 budget. You now group all of your spending into these 3 buckets, total them, and divide each one by your monthly income to see where you stand. Here is a quick chart showing you what spending makes up each bucket in the budget. The goal for the survival bucket in this example should be $1,200. Since ours comes in at $1,100 we are good here. The goal for the lifestyle bucket in this example should be $720. Since ours comes to $900, we have some work to do. The goal for the debt and savings bucket in this example should be $480. Since ours comes to $400, we again have some work to do. Now that you have a general idea of how the 50/30/20 budget is set up and works, let’s take a closer look at each bucket so you can fully understand it and make sure you are putting the right expenses into each. On the surface it is easy to understand this bucket of the 50/30/20 budgeting rule. But you can easily become lazy here and add in expenses that aren’t needed for survival. For example, you do need clothes to survive, but you don’t need a new outfit every week. If you get lazy with your spending, you can easily put items in the survival bucket that don’t belong. Likewise, even though it is important to have electricity, you should be taking steps to ensure that you are paying the least amount for it every month. The reason for this is simple. The more you control the survival and lifestyle buckets of your budget, the more money you will have for the debt and savings bucket. I’ll show you why this is important as we continue. This bucket of the 50/30/20 budgeting rule is where most people overspend. This is because all of your other spending goes here. Your cable bill goes here, hobbies, personal care spending, cell phone, membership or periodical subscriptions, and more all makes up this bucket. Since most of us like to spend a lot of money, this is the bucket where we tend to get into the most trouble. The good news is there are things you can do to control your spending here, which I’ll get into shortly. This final bucket of the 50/30/20 budgeting rule is for debt repayment and savings. Sadly, if you find you are spending more than 20% of your income in this bucket, it is because of debt. Most people won’t exceed 20% when it comes to savings. The fact is most people barely save 5% of their income, let alone 20%. The bottom line is if you don’t have debt, odds are this bucket is nowhere near 20% of your monthly budget. Chances are when you set up the 50/30/20 budget for the first time your numbers aren’t going to be anywhere near the recommended percentages. As I pointed out, most likely you will be over in either the lifestyle bucket or if you have debt, you will be overspending in the debt and savings bucket. So how do you get your budget to align correctly? There are a couple of options to work with. As I mentioned before, this is the bucket where most of you will be out of whack. To get things back in line, you need to take a little time and run through your expenses to see what is causing you issues. If you are lucky, you might know what the issue is. But if not, a quick review of your spending should show you where your issues are. I would start off by focusing on your auto insurance, cable television, cell phone, and groceries as these tend to be your bigger expenses. If you can knock these down you should quickly see an improvement. This isn’t to say you should ignore the smaller items. You should still look over these too to ensure you aren’t wasting money anywhere. If you find that you don’t have a lot of time to do this exercise, you can employ the help of Trim. This is a service that will review your spending and let you know about memberships and subscriptions that you may be able to cancel. It will also look at your cable bill and try to negotiate it to save you money. You can try Trim out by clicking here. If your budget is off due to too much debt, you need to start working on paying this debt off. My favorite plan for paying off debt is to use the snowball method. Here you organize your debts and pay them off from smallest balance to largest. Doing it this way helps to keep you motivated throughout the process. As you pay down your debt, you should begin to see your budget buckets get into better alignment. And eventually, you will see this bucket coming in at less than 20% of your income. When this happens, it is time to start increasing your savings rate. How should you be saving your money? You should start out by putting all your money into an emergency fund until it reaches $1,000. Once you hit this goal, then you can begin investing in your 401k plan at work. You want to invest up to your employer match at this point. If your employer doesn’t offer you a match, then invest 5% into your 401k plan. If you are lucky enough to have money left over in your bucket after investing in your 401k plan, take the remaining money and put this into your emergency fund. You want to get your emergency fund up to 6 months worth of expenses. Once you hit this goal, you stop adding money and shift your focus back to your 401k plan. Your next step is to increase your contributions to 15% of your income. Since this bucket calls for 20% of your income, the remaining 5% can be invested in a taxable account. For this 5%, I recommend you invest it with Wealthsimple. They make getting started investing easy and take care of most of the work for you. You can learn more about Wealthsimple here. At the end of the day, if you can get this bucket to encompass 20% worth of savings, you are going to be amazed at how quickly you begin to grow your wealth. The main advantage of the 50/30/20 budget plan is that it gives you a framework to get your spending in check and reach your financial goals without being too detailed with your spending. What I mean by this is you are free to spend as much as you want in any spending category, as long as your total spending for the budget pie doesn’t exceed the set amount. Most other budgets force you to track your monthly mortgage payment, your electric bill, your cable bill, etc. This can be very time consuming and overwhelming. By just saying you can spend no more than 30% of you income on lifestyle spending, you have the freedom to spend as you please. This is why the 50/30/20 budget plan works so well for so many people. Of course, like I said at the beginning of this post, just because the 50/30/20 budget plan is simple to set up and follow, it doesn’t make it perfect. There are some drawbacks to this plan. The two biggest issues with this budget are lack of specificity and it’s not ideal for high income earners. Here is each of these issues in more detail. As great as the 50/30/20 budget is for flexibility and freedom in your spending, the lack of detail can end up masking some spending problems. For example, if you are making $3,000 and have $900 a month to spend on lifestyle items, you could easily be wasting money here and not even realize it. While you might be happy that every month you are staying true to your 30% bucket, you don’t realize you are wasting $400 a month eating out. If you were using a more detailed budget, you would see this and could make changes to save more money every month. And by saving more money each month, you could end up retiring much sooner than you ever thought possible. Or if early retirement isn’t an interest to you, saving more money each month will give you the opportunity to do things in your life that didn’t think were possible. The other drawback of the 50/30/20 budget is for high income earners. For example, if you are making $200,000 a year, you would be budgeting $5,000 for lifestyle spending. Add in the $8,333 for survival and you are spending over $13,000 a month! That is a lot of money. Because of this, the 50/30/20 budgeting rule isn’t ideal for high income earners. As great as the 50/30/20 budget is, it is not for everyone. If you are in the small minority that thinks you would be better served with another type of budget, I have you covered. Here are 3 additional options to help you get started budgeting and to take control of your finances. 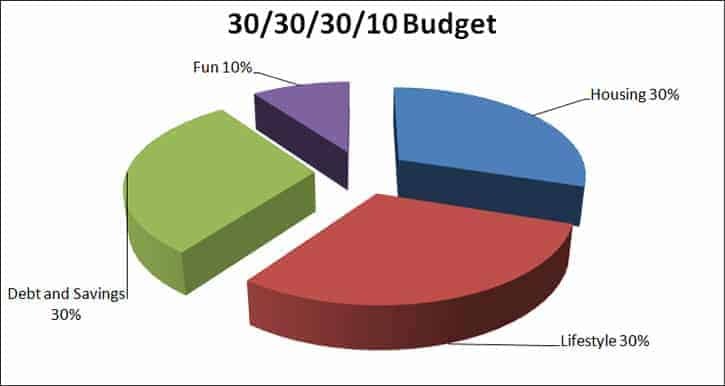 The 30/30/30/10 budget is very similar to the 50/30/20 budget. The main difference is that this budget gets more specific. By being more specific, you limit some of the wasted spending you may otherwise be doing. Also, you have the option to save more, which is great for those out there who want to retire early or for those paying off large amounts of debt. Here is how the 30/30/30/10 budget breaks down. As with the 50/30/20 budget, since you aren’t specifically tracking each spending category, you run the risk of overspending your money especially if you are a high income earner. But with that said, the risk is a little lower because of the slight changes in bucket percentages. Zero based budgeting works by giving every dollar a job. In other words, every dollar you earn in a given month is matched up with an expense. To make it work, you write down your monthly income, then you list all of your expense categories. Next, you write down your spending for each category. In the end, you subtract your expenses from your income and the result should equal zero. In most cases, your result will not equal zero. You will be spending more than you are making. So you need to adjust your spending so that you get your budget to equal zero. After the month ends, you repeat this process all over again. With the zero based budgeting system, you actively create a new budget every month since your income and expenses fluctuate each month. Following a zero based budgeting system is more work and you are more detailed in your budget. This helps you to narrow in on your spending and ensuring you are spending money on the things that matter most to you. The biggest downside of this budget versus the 50/30/20 budget is that it doesn’t specifically require any savings. 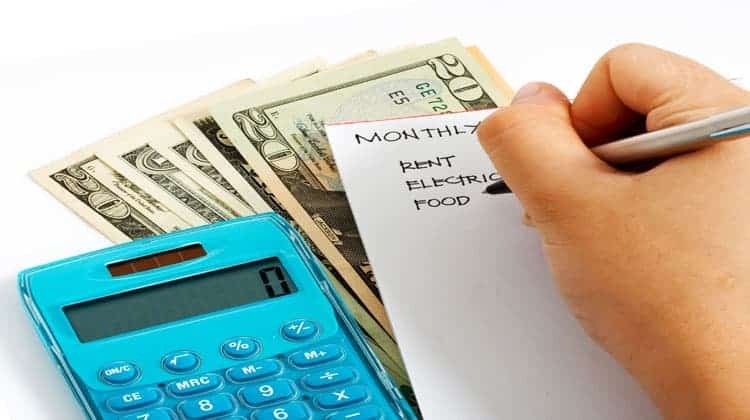 So if you find your expenses are more than your income, you are most likely going to make just enough of an adjustment so that your budget works. You aren’t going to actively make it a point to reduce your spending to the point where you can save money every month. 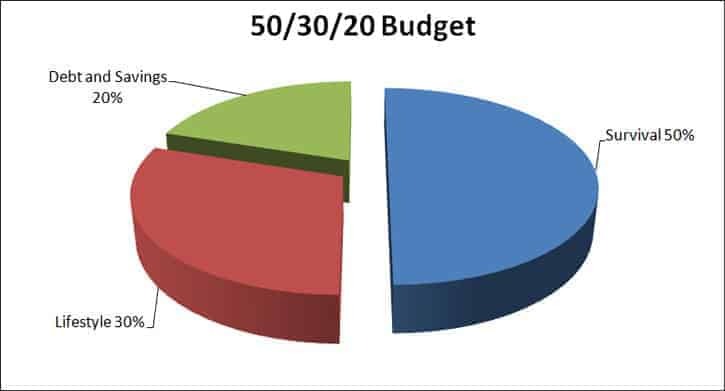 A Tiller budget solves the main issue with the 50/30/20 budget plan and the 30/30/30/10 budget because you are tracking each spending category. While this sounds time consuming, Tiller helps you out by automating the hardest part of budgeting. They automatically import your spending. By having all of your transactions automatically added to your budget, all you have to do is take 5 minutes a day to update the transactions into preset spending categories. Then the Tiller budget will update your budget and you will see where you stand in real time. And my favorite part of the Tiller budget is that you can completely customize it to your liking. You can click here to try out Tiller for free for 30 days. If you have a lot of student loans, you aren’t alone. Having this debt is a drain on your finances and your emotions, so it makes sense to try to pay off this debt as quickly as possible. With the 50/30/20 budget, paying off your student loans can be tough to do, simply because your monthly debt payments might total more than the debt and savings bucket allow. But I have a solution for you. You can still use the 50/30/20 budget for student loans you just flip two of the buckets around. Instead of 30% of your income going towards lifestyle and 20% towards debt and savings, you now have 30% going towards debt and savings and 20% for lifestyle. Coming out of college, you are used to living on very little money. If you can keep living this way for a couple years after you graduate and put more money towards your student loan debt, you will open the door for more options in life. For example, if you can pay down your student loan debt or even pay it off, you suddenly have a few hundred extra dollars each month. You can start saving for a house. You can put that money towards retirement. Or if you find out your dream job is your nightmare job, you can quit and find a better fit even if it has a lower salary. If you didn’t follow the 50/30/20 budget for student loans, you would be paying back this debt well into your 30s and in some cases, your 40s. Now you are stuck not being able to save for a house or retirement. And worse yet, you are stuck in your nightmare job. If you want to take control of your finances and have more opportunities in life, you have to start following a budget. And the easiest budget to start with is the 50/30/20 budget. I know that the idea of a budget doesn’t sound exciting, but when you think about how much better your life will be when you follow one, you will get excited. You will know you are making smarter financial decisions and are growing your wealth. Don’t make the mistake so many others do. They think that if they follow a budget they have to sacrifice all fun today in hopes of having fun at some point in the future. A smartly constructed budget allows you to enjoy life today and tomorrow. And using the 50/30/20 budget plan is a great first step in this direction.